In his new collection of essays, The Gospel according to Moses: Theological and Ethical Reflections on the Book of Deuteronomy (Cascade, 2012), Dan Block has a helpful chart delineating the “voices” in Deuteronomy, which I’m providing below. The content comes from a previously published article, “Recovering the Voice of Moses: The Genesis of Deuteronomy,” JETS 44 (2001): 385-408. Based on internal and external evidence, Block argues that three particular voices are clear: (1) Yahweh’s voice, (2) Moses’ voice, and (3) the narrator’s voice. Block holds the traditional view that Moses is the author/speaker (the main “voice”) of the majority of the book of Deuteronomy, and I think his article is convincing on this point and helpful, especially as I read through the biblical book. Block has also published a companion volume prior to this one, How I Love Your Torah, O Lord! : Studies in the Book of Deuteronomy (Cascade, 2011). Both volumes are great to have in my personal library, and I look forward to his forthcoming commentary on Deuteronomy in the NIVAC series, which is slated to be released in August 2012. A couple of months ago I put my name into this site, and then I received a copy of this book from the publisher for the purpose of this short review. I was please to see that the book I received was by Trevin Wax, Counterfeit Gospels (Moody, 2011). I’ve always enjoyed Trevin’s blog, and I’ve had the opportunity to speak with him a couple of times. He’s a great guy and I’m thankful for the work he is doing for the church at Lifeway. 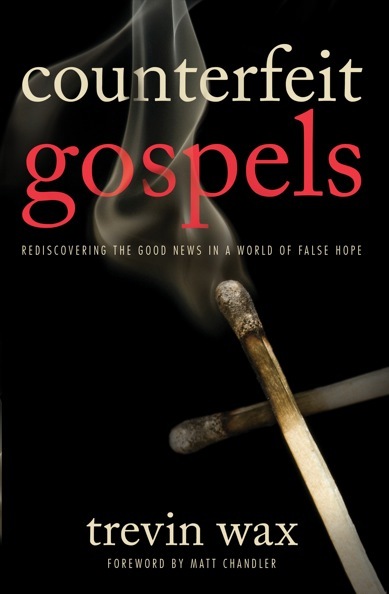 I was skeptical about Counterfeit Gospels at first, mainly because so many books on the gospel have been printed recently and I didn’t think that we needed another. But I really enjoyed this one in particular. Trevin’s writing style is engaging and personal. Many of his stories and illustrations I can relate to, which kept me reading. The book is broken up into three parts: (1) Story, (2) Announcement, and (3) Community. These three parts form the backbone of the biblical gospel. There is a story that culminates in Jesus (his life, death, and resurrection), an announcement that all people should repent and believe, and a community that gospel believers should be a part of—the church. Trevin frequently refers to this as a three-legged stool: the gospel story provides the context for the gospel announcement, which then births the gospel community. The best way to do evangelism, Trevin says, is to emphasize all three. Within each part Trevin highlights two “counterfeits” that subvert the gospel. For part 1 there is the therapeutic and judgmentless gospels, each offering a counterfeit story/announcement/community. In part 2 Trevin mentions the moralistic and quietistic gospel counterfeits, and in part 3 the activist and churchless counterfeits. I won’t explain them here, but Trevin provides a helpful chart on pg. 210. All of the counterfeits are false gospels that ensnare the church. Thus the purpose of the book is to articulate the true gospel and to show how attempts to change it ultimately fall flat. The implications of the gospel are far-reaching, so the church must get it right. Every generation will need to understand the biblical gospel and apply it to appropriate contexts. Trevin Wax has given us a great little aid for doing that in this generation, and I’m glad I had the opportunity to read Counterfeit Gospels and recommend it to others. This is a fantastic book about Louie Zamperini, a WWII vet who survived a plane crash, 47 days adrift at sea in a life raft, and then nearly three years of hard labor and torture at the hands of the Japanese. He’s eventually rescued after the atom bomb ends the war. The story takes so many unexpected turns it’s almost unbelievable. And the best part is that after the war Zamperini comes to grips with his own sinfulness and despair and somehow finds his way to a Billy Graham crusade in Los Angeles. There he puts his faith in Christ and is forever changed. When this book was released I kept avoiding it because I knew I would get sucked in and be distracted from seminary reading. But I’m glad that I finally read it. 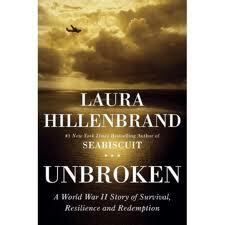 I would encourage anyone interested in WWII history to pick it up. I read through Doug Stuart’s review of the new Exodus commentary by Victor Hamilton (Baker, 2011), which is illuminating to say the least. I hope to review this work through another journal, and I will give due attention to Stuart’s comments. In a gist, Stuart says that about 1/3 of Hamilton’s novel ideas are worth their salt. The rest are rubbish.